If you have a comment or other feedback for the Fatman’s Beef Jerky staff please feel free to contact us with your comments and we will post them here! 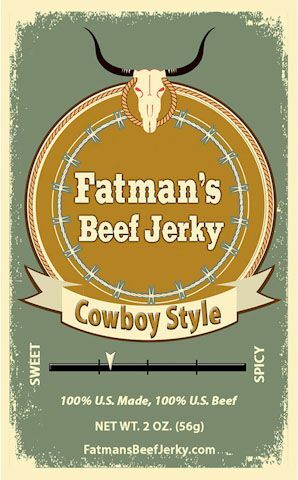 We absolutely LOVE Fat Man’s Beef Jerky! We order every holiday season for all of our family and friends. Thanks so much for providing such a delicious product. We can’t stop eating Fatman’s Jerky at our home. It is addictive in a GOOD sense.! The balance of flavors in each variety is great. (I have eaten them all). You really can’t go wrong with anything you choose. If I was to name all of my favorites you might agree or you have your own preferences. I love spicy! But the plain Salt & Pepper is great on its own.. and it has kick too! The Lemon Pepper is a hit. The Green Chili is a home run! Chipotle… YUM! I could go on. I love this robust jerky. It is not greasy and when you eat it you know you are getting the real thing. Pure protein with substance! If you can’t decide what to order then start with a variety pack.. It won’t take you long to know what you will order next time!.. whatever you order won’t last long enough if you like jerky the way I do! What else can I say? WE LOVE FATMAN’S!! I got my husband 5 different flavors of jerky for our first Christmas as husband and wife. They were all delicious and we are already ordering more less than a month later. I wish y’all sold t-shirts, that would be hilarious. Thank you whoever “fatman” is! This is by far THE BEST jerky ever! I’ve tried numerous other brands and none of them come close to Fatman’s! Love it! Thank you so much for making such great jerky!! Hard to say which is my Favorite. Green chile, Cajun, Habanero, Teriyaki, red chile and cowboy are all grate! It goes quick in my house. Lucky if a lb last two days and that’s just me not my kids. Last wife and step kids from New England area loved cowboy. Additively good! Who ate all the jerky? Usually me hehe. 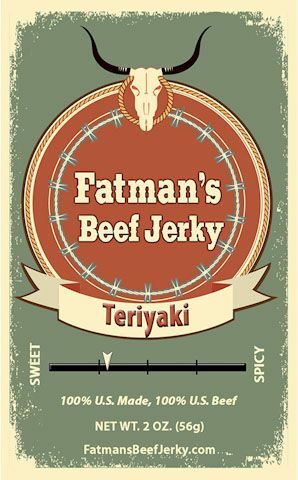 I enjoy Fatman’s Jerky. I live in California and every year I am in Roswell I swing by and get some Jerky. The company stands behind there products 100% and go out of their way for customers. All of the jerky has an outstanding taste each one is my favorite.